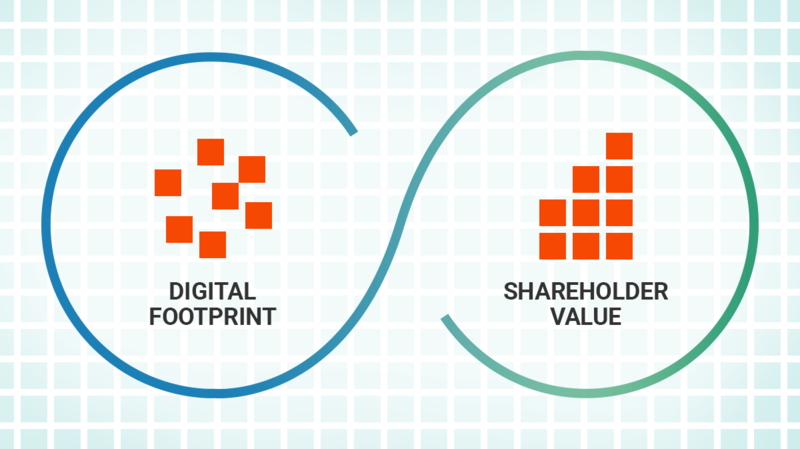 Isobar has always believed in a link between digital strength and shareholder value. If companies don’t put digital at the forefront they risk long-term value destruction. When we met Alpha DNA – a data provider to hedge funds that uses digital data to predict revenue growth – we knew we could prove our intuition right. The Digital Strength Index (DSI) is an aggregate measure of the top 1,000 U.S. public companies. Based on over five years of data gathering, analysis and benchmarking, the primary focus of the measure is to assess the digital performance of companies and translate that into forward-looking, top-line growth expectations. We’ve proven the link between digital strength and shareholder value, and done it in a way that passes the rigorous standards of hedge funds. We’ve already released our Topline Report supported by an underlying white paper. Peer-level reports, starting with US domestic airlines, will follow. Companies in the top decile of the Digital Strength Index (DSI) have next-year revenue of +10%. The bottom decile has -8%. That’s a nearly 20-point difference between digital leaders and laggards in a single year. Companies in the top decile beat quarterly estimates 65% over the past five years. The bottom decile? Just 45% of the time. The gap between leaders and laggards holds regardless of industry. The long-term impact of being a digital laggard is devastating, with a 12% loss in shareholder value over a three-year period – a decline that increases with time. Check out our cutting-edge research here.